Funny but I don't remember the media making a huge deal out of this when it happened whilst they were keen to highlight any company that was moving it's offices out of the UK and into Europe. "Facebook has opened a new office in central London, creating 800 jobs in the process." "Facebook first arrived in London 10 years ago, and the new addition will take its total UK workforce up to 2,300 by the end of 2018." "The 247,000 square foot office, which opened on Monday, is on Rathbone Place, just off bustling Oxford Street in central London." 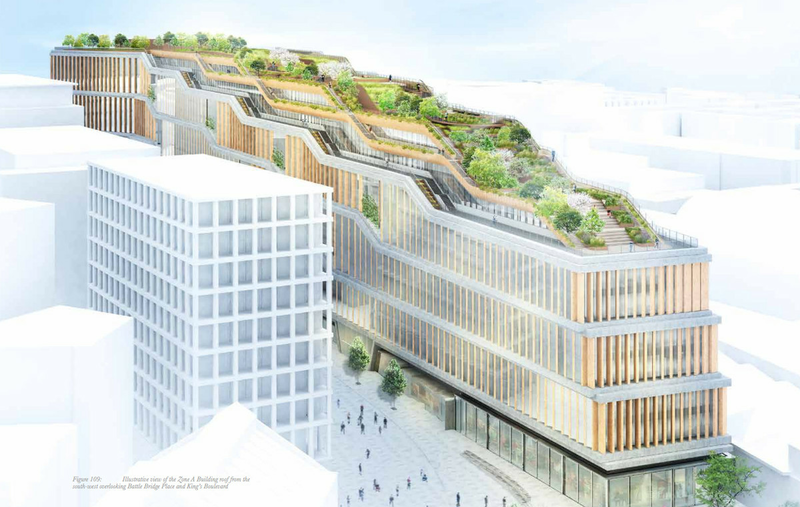 "Google has officially submitted plans for its new 92,000-square metre “landscraper” London headquarters, with the intention of beginning construction on the building in 2018." "Combined with Google’s current King’s Cross office around the corner, and a third building that the company also plans on moving into in the area, it will form a new campus that will house 7,000 Google employees"
GOSH ! I thought the media was telling us everyone wanted to get out of the UK due to BrExit ! Go figure ! Nice of the remain media like the BBC and Sky News to overlook something as newsworthy as this. You hear about these things if you live in London .... just didn't think anyone else was interested. The increasing wealth, influence and unaccountably of Google, Facebook, Amazon and the like is somewhat disturbing. They clearly expect an increase in social media which is totally separate from any trading blocks. Not sure what's the relevance to Brexit? nb.just to state for the record that I think they have this one wrong. Social media will be on a downturn from 2020. Just a hunch! Not sure what's the relevance to Brexit? But surely if BrExit is going to be catastrophic and cause massive recession and turmoil they'd be better setting up camp elsewhere?! Guess they too think Project Fear is a pile of Billy BS! I think our 19% corporation tax and 1% digital tax (The lowest in the EU) might have something to do with it. When our government are telling people not to buy diesels anymore. If anyone is responsible for the loss of 7000 jobs in Sunderland, it's our government....Do you think the remainers did it on purpose to prove a point?